Brazilians like to say the new year only really starts after Carnaval, right? So here's my slightly tardy list of favorite Brazilian reads from 2015. Same lack of rules applies as last year: not necessarily published in 2015, just read by me in 2015. And, once again, no round numbers. 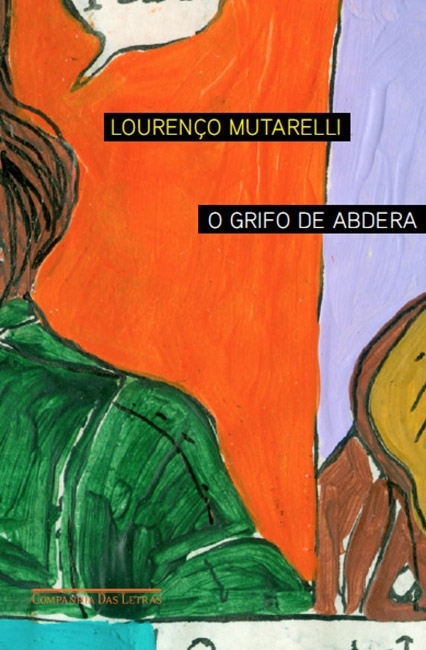 I've gushed about Lourenço Mutarelli many a time on this blog. As I've said before, I would read anything he publishes. Thankfully he keeps putting out damn good books, and this totally meta marvel just might be my new favorite. You can read a short extract from my previous favorite, O Cheiro do Ralo, in the August 2013 issue of Words Without Borders. A very likeable book about two highly unlikeable characters, told by an unlikely, and unreliable, narrator. It wasn't just me who liked it: it won the 2015 Biblioteca Nacional prize for Best Novel. This book about the demise of a romantic relationship starts out all laughter and sunshine, but is actually heading south well before you've even realized what's going on. It's only in hindsight that you see what just happened. You know, kind of like an actual relationship. I did a sample from this book, available from The Riff Agency. Who knew you could tell a story of war, ideology and heartache through the growth patterns of orchids? Among other hats, Jaffe is a creative writing teacher, and this novel's meticulous prose is a master class in craft and style. Her previous book What Are the Blind Men Dreaming? is forthcoming from Deep Vellum in Julia Sanches' beautiful translation. Exile, identity, family. Redemption, repetition, resistance. Fuks' slim autobiographical novel packs a powerful emotional punch. His writing is measured and precise, and you're left with that wonderful feeling I'm always a sucker for, that every word has its place. I did a sample translation from this book, available from Companhia das Letras. Nakasato's spare and beautiful book about a Japanese family in Brazil was one of my favorite discoveries last year. You can read all about this Benvirá prize-winning book in my review here. After reading Nihonjin above, I looked into other titles that had won the (now-defunct?) Benvirá prize and stumbled upon this gem. Krausz's sinuous, polished prose is something to behold. You can read Ana Fletcher's translation of The Clocks from Desterro: memórias em ruínas in the New England Review. Continued from Part 1, here are the remaining seven books highlighted in Brasil Post's list of the 21st Century's best Brazilian books so far, which I've used as a springboard for exploring even more great Brazilian writing. Veronica Stigger first got my attention with Os Anões. Her writing is fresh, smart, exciting, shocking, hilarious and absurd. Opisanie swiata is her first novel (she has published several collections of short stories), and this longer format has allowed her to be just as daring, surreal and funny as in her previous work, but also has given her room to create a fascinating, multi-layered story spanning decades of history and an ocean. It was included in the latest issue of Machado de Assis magazine, to be launched at the Paris Salon du Livre (click the link to read a short sample). I was also recently selected to participate in a translation residency this June, leading up to the FLIP literary festival in Paraty, Brazil, where I am so excited to continue working on its translation. Interested in a longer sample? Let's talk. Nine Nights, translated by Benjamin Moser, was published by William Heinemann in 2007. You can read an excerpt here. He's been shortlisted for the São Paulo prize three times in the Best Book of the Year category. 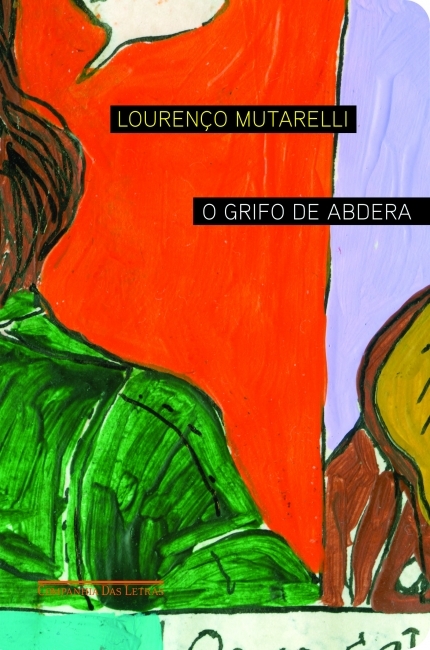 A couple of Mussa's books have been published in English, but not this one, which won the Machado de Assis prize in 2006. It has been published in French, Turkish and Romanian. The Mystery of Rio, translated by Alex Ladd, was published by Europa Editions in 2013, and in 2008, The Riddle of Qaf, translated by Lennie Larkin, was published by Aflame. 12. Sinfonia em Branco by Adriana LisboaAdriana Lisboa's writing is lyrical and moving, and it comes as no surprise that she is also a musician and poet. Symphony in White, translated by Sarah Green, was published in 2010 by Texas Tech University Press. In 2011, the same publisher released Hut of Fallen Persimmons, by the same translator. Alison Entrekin's beautiful translation, Crow Blue, was published by Bloomsbury in 2013. Lisboa is also a translator, and has brought several English-language authors into Portuguese, including Cormac McCarthy. Her novel Hanoi, shortlisted for the São Paulo prize, was published in Brazil in 2013. Her short story Success was used for the 2013 Harvill Secker Young Translators' Prize – you can read Lucy Greaves' winning translation here. Tatiana was one of Granta's best young Brazilian novelists back in 2012. Hailed as one of Brazil's most promising young writers, I'd say she has firmly arrived. Making regular appearances at international literary festivals, she is part of the Salon du Livre Brazil delegation this year. This book, her debut novel, was published by Scribe in English as The House in Smyrna just last month, February 2015 and translated by Alison Entrekin. It has also been translated into French, Italian, Romanian, Spanish, and Turkish. She has since written two more novels, Dois Rios and Paraíso. You can read Lucy Greaves' translations of some of her other work here. To be honest, I knew very little about Moacyr Scliar (who unfortunately passed away in 2011) or his writing, except for Max and the Cats, due to the controversy sounding Yann Martel's other, slightly more successful book, curiously also about a shipwrecked boy on a lifeboat with a big cat. So, I was shocked (pleasantly surprised?) to learn that his work has been translated extensively. According to his wikipedia page, twelve books have been translated to English, mostly by Eloah F. Giacomelli, as well as Margaret A. Neves and Thomas O. Beebee. That's a lot, but on that page you'll also see how prolific he was, and a lot of them seem to be out of print. This one, a retelling of the Bible story of Onan, with a modern twist, won the Jabuti prize in 2009. Nélida Piñon is another writer I know relatively little about. She was once president of the Academia Brasileira de Letras, and had a couple of English translations published in the 1990s, but this one, Voices of the Desert, translated by Clifford Landers, was published by Knopf in 2009. A retelling of the legend of Scheherazade. Phew, that was a lot of men, huh? Still, I have to say I was impressed by the number of books and authors on this list in English translation. Nine out the fifteen books are already in English – an inspiration, I think, to keep trudging onward. Some days the internet seems to be turning into one big list. I would hesitate to add to the ever-growing fluff, but I don't see a lot of lists of Brazilian books circulating out there… oh wait, maybe that's my job on this often neglected blog. In the last month or so, some decent lists of Brazilian books have appeared online that I think are worth sharing in English. Book Fair season is upon us, and surely someone out there is thinking about new Brazilian finds. I won't claim to agree 100% with the selections, and of course many worthy contenders have been left out, but they're fine places to start! Some of these have already been translated to English, which is all the more reason to check out the authors' other work. I'll include some links below to other related projects as well. Brasil Post, the Brazilian version of Huffington Post, came up with their list of the top Brazilian novels of the 21st century. They begin with some depressing information about how little Brazilians read, particularly their own writers (almost the opposite problem to most English-speaking countries), and explain how they hope this will inspire Brazilian readers to check out writers from their own backyards. Their list claims to be based on awards and the editor's personal preferences, and is in no particular order. This gets a little long, so here are the first eight books. Well, we're off to a strong start! This Jabuti award winner has already been translated (by John Gledson) and was released by Bloomsbury in 2008, as Ashes of the Amazon. As contemporary Brazilian writers go, Hatoum has done exceptionally well in translation – as far as I know, all of his four novels have been published in English. All worth checking out. And if you're interested in graphic novels, an adaptation of Hatoum's Two Brothers by Gabriel Bá and Fábio Moon is coming out this month in Brazil and France, and an English translation will be published in October by Dark Horse. Here's an article in English with more information and a beautiful preview. This strikes me as a somewhat odd choice for this list, only because this is the third in a series of five novels Ruffato wrote over a span of six years about Brazilian industrialization and the working class, entitled "Temporary Hell". A sneaky way of squeezing in more books? Possibly, but who I am to begrudge them? This one is about a community of Italian immigrants in the state of Minas Gerais. Ruffato famously gave the opening address at the Frankfurt Book Fair in 2013. His first novel came out in English earlier this year: There Were Many Horses, translated by Anthony Doyle. Roughly: "I'd Receive the Worst News from Your Beautiful Lips". How's that for a title? Marçal Aquino is one of my favorite writers – he's a master at suspense, tension, and all things seedy and grimy. I've reviewed another of his books, O Invasor. This was originally published in 2005, and was made into a feature film in 2011. None of Aquino's work has been translated to English that I'm aware of, but this book has been translated to Spanish. Here's an article about Aquino (and this book) that came out before Frankfurt in 2013. Another book that has already been translated to English, by the amazing Alison Entrekin, published by Scribe in 2010. And for very good reason: this book swept the award season in 2008, taking home the Jabuti, the Portugal Telecom prize and the São Paulo prize. You can read an excerpt of it on Words Without Borders. How this book wasn't snapped up for English translation within weeks is a mystery to me, particularly with the buzz surrounding last year's World Cup. 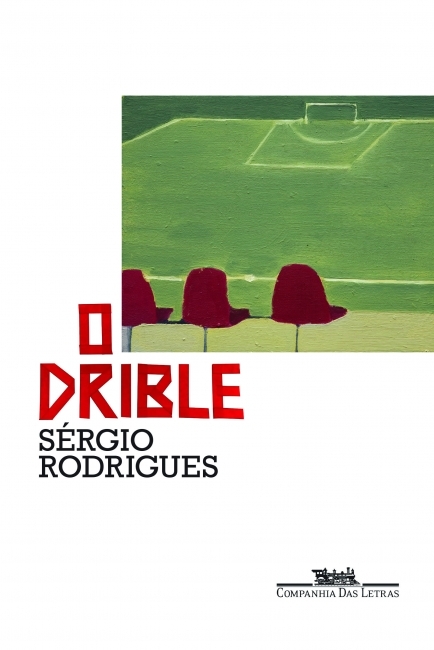 Hailed as Brazil's great futebol novel, it was a finalist for both the Jabuti and the São Paulo prize, and won the prestigious Portugal Telecom prize. Luis Fernando Verissimo called it a "great performance", an unprecedented book that's not about soccer, but in which soccer is one of the characters. I translated Sérgio's book Elza: The Girl, which came out earlier this year, and much like that one, this book has a really, really good twist. It has been published in both Spanish (translated by Juan Pablo Villalobos) and French (co-translated by Ana Isabel Sardinha Desvignes and Antoine Volodine). Bookanista has posted a translation of the book's first chapter. You can read more about all his work at his website. He is represented by the Riff Agency and Mertin Agency. Originally published in 2012, this debut novel tells the agonizing story of a father's search for his daughter, who disappeared during Brazil's military dictatorship. It was reissued by Cosac Naify in 2014 to mark the 50 years that have passed since the 1964 military coup in Brazil. While recent events might suggest some people have forgotten about that particular mark on Brazilian history, for many the wounds are still fresh and this book is, in my opinion, more important than ever. Praised by critics and a finalist for the Portugal Telecom and São Paulo prize, it was published in English in 2013 by Latin American Bureau, translated by Sue Branford, and reviewed in the November 2014 issue of World Literature Today. If I Close My Eyes Now was published in English last year by Black Swan, translated by Nick Caistor. A second book, Happiness is Easy, also translated by Caistor, was published just six or so months later. His third novel, Vidas provisórias, came out in 2013 – it's not in English yet, but I'd say it's just a matter of time. Another from Milton Hatoum. Orphans of Eldoradowas published by Canongate in 2012, translated by John Gledson. See the other seven books in Part Two.